If I wasn’t so enjoying the “farm version” of my dream life here in England, I would be pining over the “creative California hippie” version that Hannah Henderson and John Moore live in Venice Beach, CA. Well, I’m pining anyway. Their home, their store, their kids, their art, their clothes, their lifestyle all make me swoon. It’s all so personal to who they are and what they like. But what I notice above all is how well Hannah does denim. She and her husband seem to be experts on denim both new and old, and they both instagram about it regularly. She is hannahmas and he is bonfirebeachkids. These are my favorite of their denim posts. I’m so into ripped boyfriend jeans like these at the moment. They’re all I feel like wearing. Because it’s cold now and don’t want the winter breeze blowing in through the holes, I’ve bought a second pair and had the holes patched up. The look is pretty much the same, but I am much warmer! Hannah and John own the Venice outpost of the General Store, with the original being in Outer Sunset – my fave neighborhood in San Francisco. Both are original and inspiring, and if you aren’t in California, you can still shop there online. I love the overalls displayed in the foreground. I have an old wrangler kids jean jacket from the 70’s that fits me pretty much like Hannah’s does. It’s proven incredibly useful over the years, looking best over a summer dress or under a more tailored wool overcoat in winter. 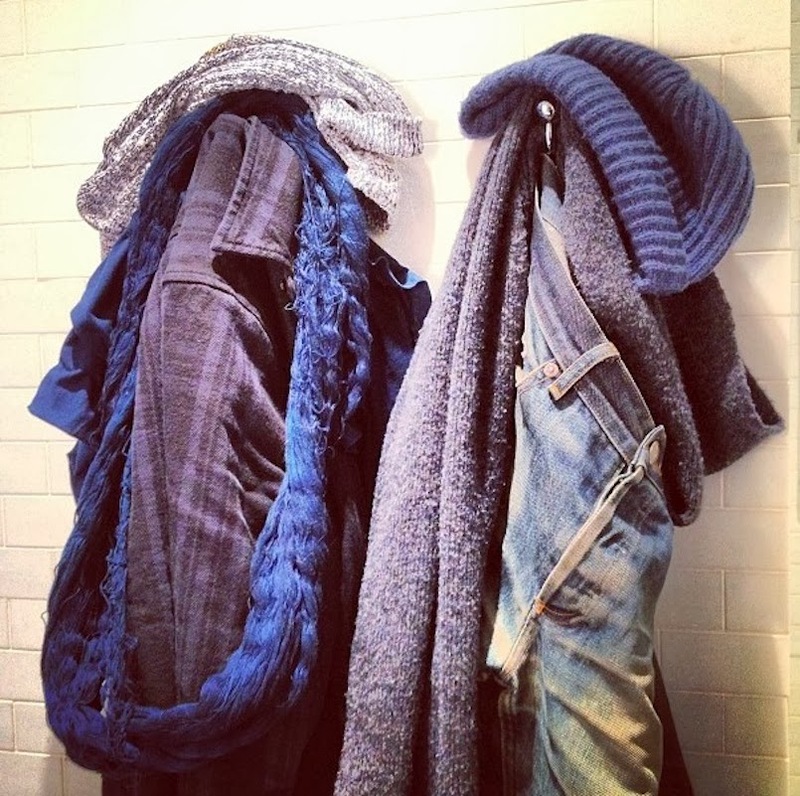 I love all the indigo/denim shades and textures. You could build a whole wardrobe around this concept. John’s love of denim extends itself to these very cool indigo/denim inspired skateboard decks. 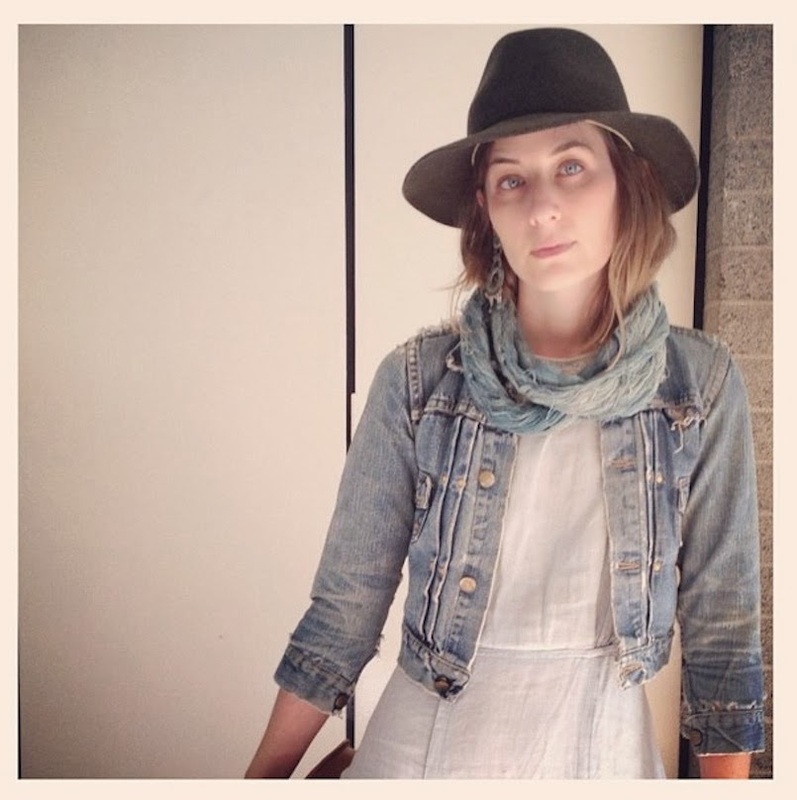 Denim seems to always be a part of Hannah and John’s inspiration. The denim is super. I like my ratty jeans in the winter also but wear long underwear. After years in Florida, it's the only way I survive! I Love Your Style and I Love Your Instagram photos. They are wonderful. Thanks for sharing your British adventure. It makes me appreciate our farm in the U.S. I never felt further from California than when I lived in London for 10 years. There are pretty much no similarities. What I found hardest was the lack of sun and grey, and I am from the east coast- not CA. How have you adjusted? And do the trade offs make it worth it for you? Denim. YES! I'm digging a couple of old pieces out of the closet now: a faded Levi's shirt that will look great with a classic Ralph Lauren navy pinstripe jacket and a new denim jacket that needs a few runs through the washer and dryer. I am a big fan and love reading your posts. Also excited a new book is in the works. Happy Thanksgiving to you and your family. Love denim all the way!